Complete this Girls Poodle Skirt Dress by adding bobby socks, saddle shoes and 50s-style cat's-eye glasses, and she'll be ready for a trip to the malt shop! 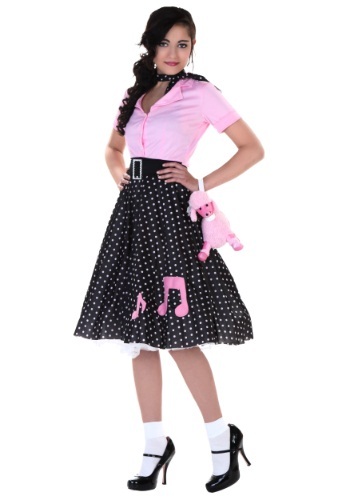 Dig out the record player and dance the night away in this girls sock hop costume! Finish it off with saddle shoes and poodle or bobby socks and start practicing the jitterbug and the jive. You'll be ready to rock around the clock! She's ready to shake, rattle and roll along to some Elvis Presley! 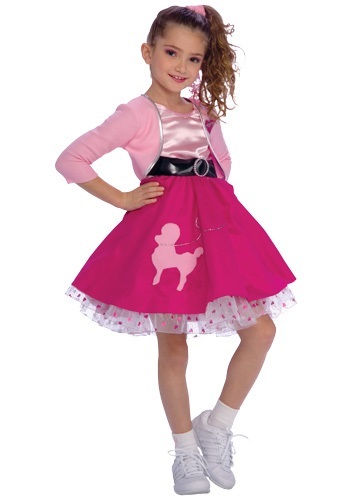 This Kids Deluxe Blue Poodle Skirt Costume is a cute costume for little ladies who love fifties fashion....and poodles! Pick up the white bobby socks and classic saddle shoes for the complete look! This little girl knows how to do the hand jive and can't wait to show it off at the sock hop! 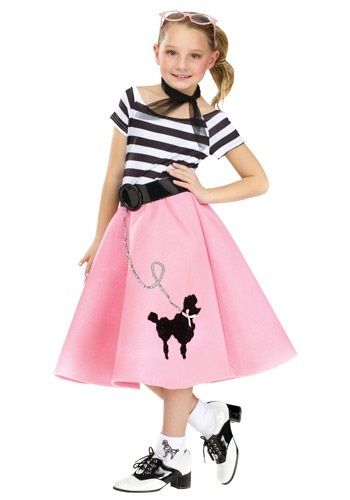 If your little princess is a fan of 50's fashion or can't get enough of watching Grease, she'll love to wear this Kids Deluxe Pink Poodle Skirt Costume. Pick up the bobby socks and the saddle shoes for a look that is totally neat-o! 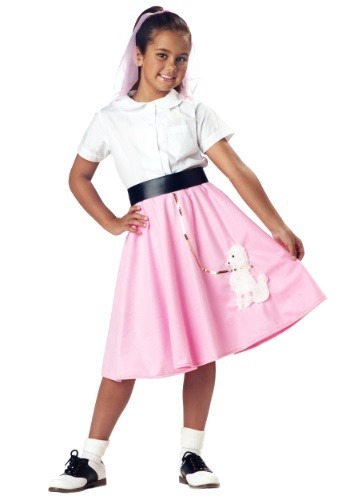 Bring the 1950s into the twenty-first century with this Kids Pink Poodle Skirt! Finish it off with bobby socks and saddle shoes, and you're ready for the sock hop. NOTE: the belt shown in the photo is NOT included. 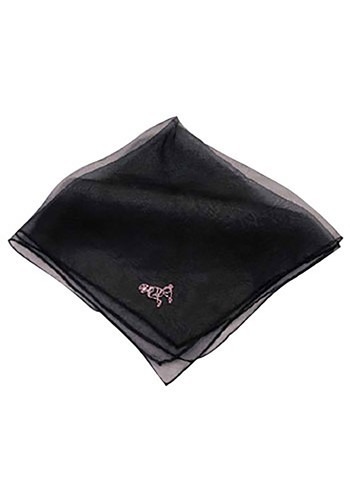 Good golly Miss Molly you sure look great in your Pink Poodle Scarf! With a look this great, people may think you're an earth angel. Take a trip back in time to the age of soda fountains and the birth of rock-n-roll in this Plus Size Poodle Skirt Dress! Add a pair of 50s-style cat's-eye glasses to polish your look. Are you ready to Rock Around the Clock? If you are, then this Plus Size Sock Hop Cutie Costume is for you! It will put you at the height of 1950s high school fashion. Start practicing your jitterbug! Did you know that the poodle skirt was designed by Juli Lynne Charlot--an American singer, actress, and fashion designer? They become the fashion fad during the fifties when many young women and movie stars starting wearing them. You'll be ready for an ice cream sundae down at the drive-in theater in this Poodle Girl Costume. Back in the day when all the girls were trying to have the cutest poodle skirt in school, you would have seen them all turn green with envy had you showed up with a poodle shaped purse to match your outfit! 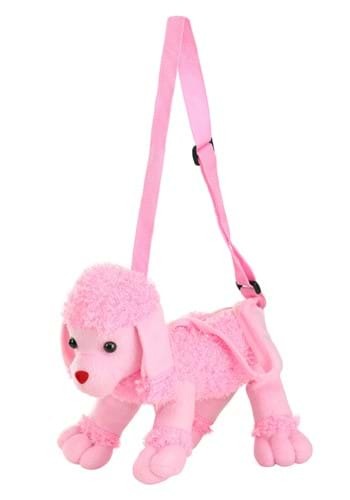 You'll be a sweet treat at your next sock hop with this cute Poodle Purse. 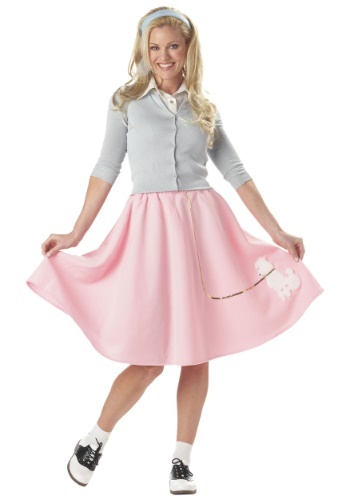 It's an adorable way to dress up your 1950s costume! 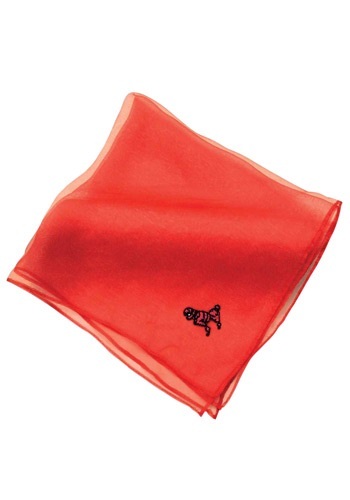 Get chromed-plated with this adorable Red Poodle Scarf! It's flirty way to accessorize your poodle skirt for the big dance! Being the cutest girl at the sock hop is easy. All you need to do, is dress your little girl up in this poodle skirt dress and send her off to the dance! Of course, since it's no longer the 1950's, it might be a little harder to find a sock hop to send her off to. This Toddler Poodle Skirt Dress is perfect for a preschool sock hop or a trip to the soda fountain! They are never to young to learn how to rock around the clock! Got poodle? You will when you wear this cool classic costume! You'll be bopping about in full retro swing mode when you wear this 50s inspired look. Head down to the burger joint or the malt shop and enjoy being the coolest girl in the joint!